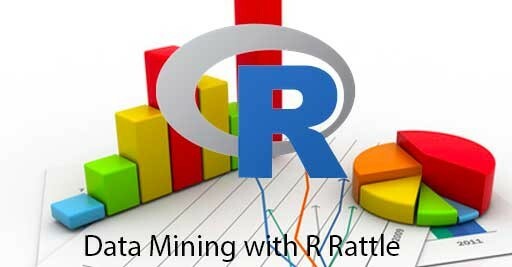 Rattle, an open source GUI For Data Science and Machine Learning using R, has been updated to Version 5.1 on CRAN and is available for download now. As always, the latest updates to Rattle are available from bitbucket. A small but important update means that Rattle now works with the latest version of RGtk2 on CRAN. A significant update is that the default boosting algorithm in Rattle is now xgboost, currently the most popular ensemble tree builder and a regular star performer with Kaggle. Rattle allows you to quickly get up to speed with using xgboost through the GUI and the automatically generated R code template. Also with this release Rattle supports ggraptR for interactive generation of ggplot graphics. This requires the latest version or ggraptR available from github. I have also made a Docker image available so that anyone can run Rattle without any installation required (except for installing Docker and loading up a copy of the image). This is available from the Docker Hub where you can also find instructions for setting up Docker. Indeed, check out my recent blog post on three options for setting up Rattle, including the use of the cloud-based Data Science Virtual Machine on Azure.